October has been a strange and busy month. I trust I’ll recover soon. Still, I got these done and added to the Halloween display. With special thanks to a good friend over at chucklingdog for the initial design/inspiration. 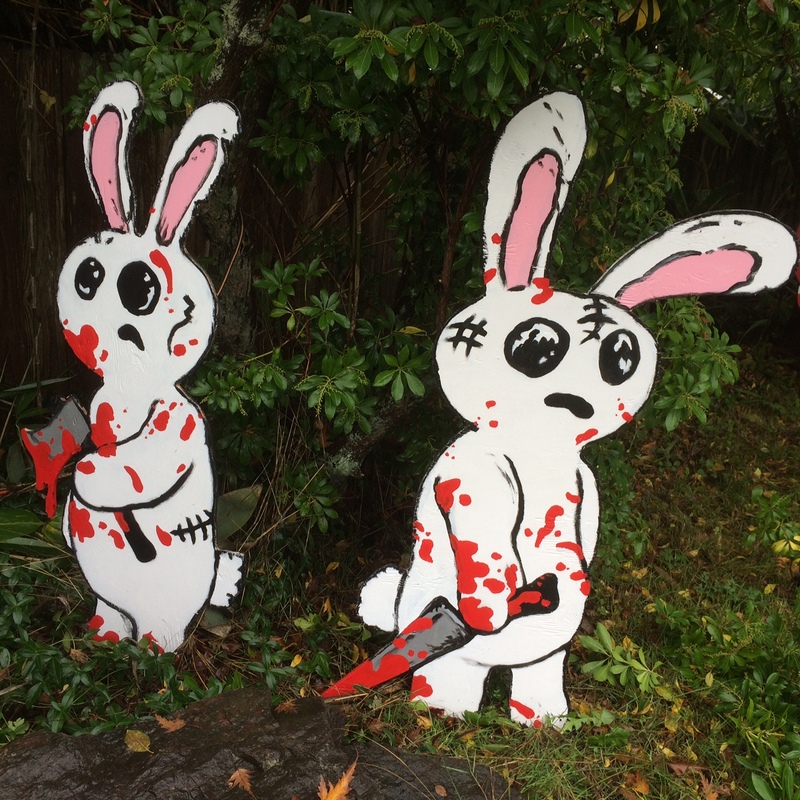 This entry was posted in Decorations, Halloween, Holidays and tagged Decorations, Halloween, Plywood and Paint by jcschildbach. Bookmark the permalink. You’ll find out when you try to take them down. You’ll stack them in the garage for next year, you’ll get a drink of water, look outside and there they’ll be. They’ll always be there. Forever.